Diamond Electric is committed to providing high quality electrical services to commercial and residential sites throughout central Virginia, working within local, state, and OSHA guidelines for optimal safety. With more than 15 years of professional experience, our team does it all from new construction wiring to renovation wiring, from lighting fixture installation to generator installation, and beyond. Contact us for a free consultation and estimate. From your breaker box to the electrical outlets, switches and fixtures you use every day, Diamond Electric is your first and best resource for installation, service and repairs. 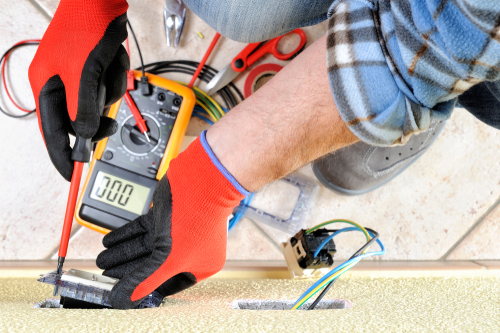 As a full-service electrical company in Louisa, VA, we take pride in bringing expert oversight to residential and commercial customers that they can count on—no matter the scope or nature of the job. Our team is ready to undertake everything from commercial building rewiring and whole-home renovation projects to LED lighting retrofits, circuit repairs, generator installations and beyond. Moreover, we complete every job to expectation, providing best-in-class workmanship that’s guaranteed for at least a year. It’s our promise to our customers, showing we’ll always stand by our work. 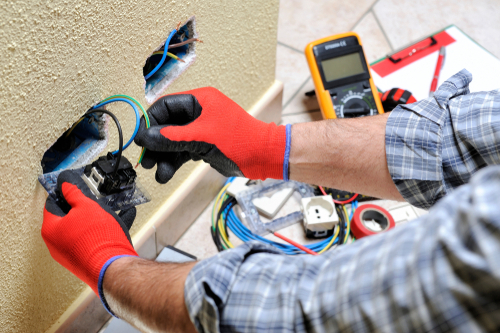 Private customers, builders and developers all trust our electrical contractors in Louisa, VA because they know exactly what they’re getting when they call us. We’re prompt, reliable, thorough and courteous, as well as affordable and honest. We provide free upfront estimates and take the time to consult with you so you know the situation exactly as it is. And, when you do choose us for the job, we make it a point to work quickly, accurately and thoroughly, providing results that truly speak for themselves. Whether it’s just a simple ceiling fan installation or the complete wiring for a new construction project, let us show you why we’re a cut above the rest. We’ve been a locally-owned and –operated company since 2003, serving the needs of Louisa, VA customers. Our services extend to residential and commercial customers. Our team relies on only industry-leading brands and products, from proven companies like 3M, Eaton, Generac and Siemen. We offer free consultations and estimates to all customers before work begins. Don’t put your home or business’ electrical systems into the hands of anyone other than a proven, qualified professional. Contact Diamond Electric today for a free consultation.